A long time ago – I began my website design career with an artist website. It is always fun to work with creative people who have creative ideas. 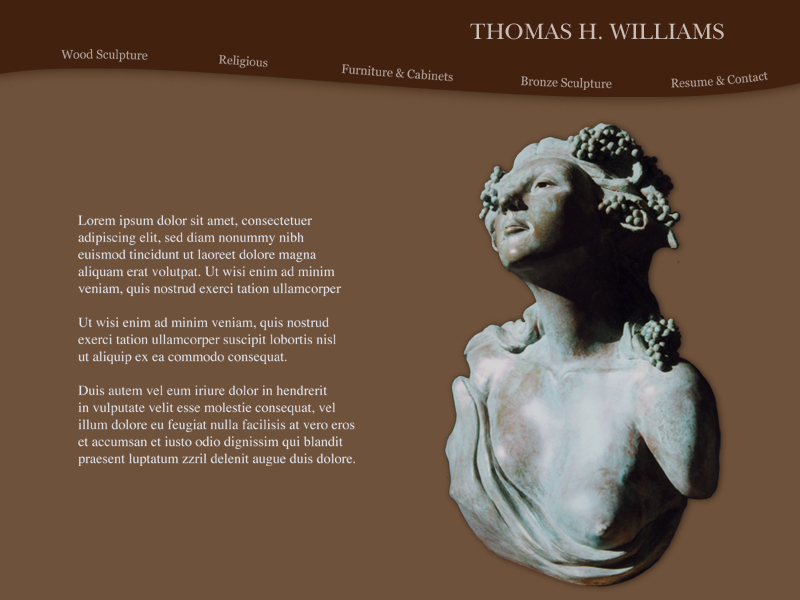 Building Tom Williams website in the early days of website design was a tremendous learning experience. The right side panel has a slow-moving animation that I coded using ActionScript and math. The math creates a series of random numbers that would control the bend in the animated string. Creating a lively pattern, each time it played the animation cycle. I chose a monochromatic palette to showcase Toms art. The minimalist design of the website is a façade. Below the surface, I built a sophisticated navigation system. The audience can either click the corresponding button on the left side panel. Or, the choice to use the Auto Player. Most modern websites have some slideshow feature. However, on Toms’ website – the slideshow auto player is a complicated string of ActionScript code. AutoPlay Feature – with visual countdown prior advancing to next image. Individual Button to load art sample.